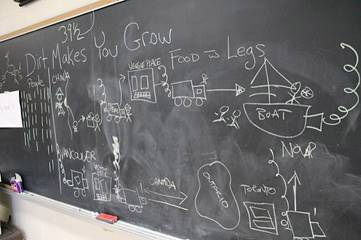 Hands on Educator Training at the Bendale Market Garden, Toronto’s first urban farm on school grounds. Credit: Laura Berman/GreenFuse Photography. 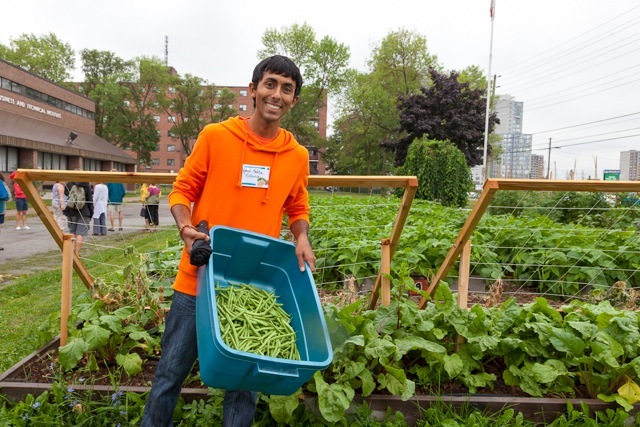 For a database of community-vetted food strategies, tools, and tactics visit Sustain Ontario’s Food Initiatives Greenhouse. 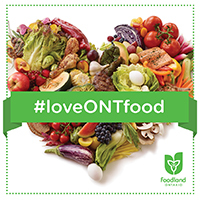 We are always on the hunt for more resources that help connect children and youth with good food. Know a great resource? Share the inspiration by posting it to the Facebook group or emailing it to Carolyn Webb, Network Coordinator, at cwebb@sustainontario.ca. “Dirt Makes You Grow” is the mantra at Evergreen Heights. Here they trace the footprint of a garlic bulb from China. Credit: Kelli Ebbs. 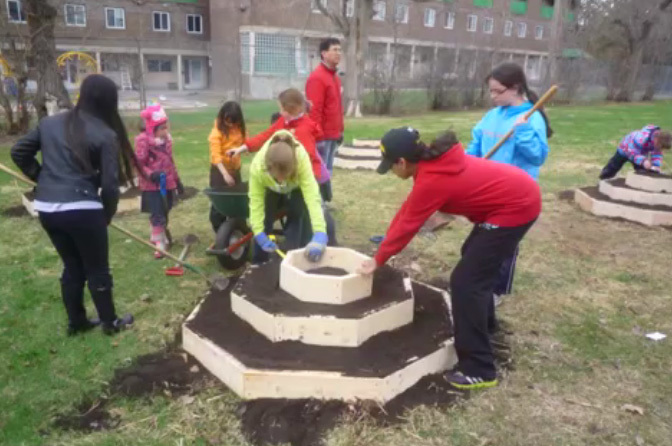 Students apply permaculture principles to building octogardens at Joan of Arc Academy in Ottawa. Credit: Tom Marcantonio. 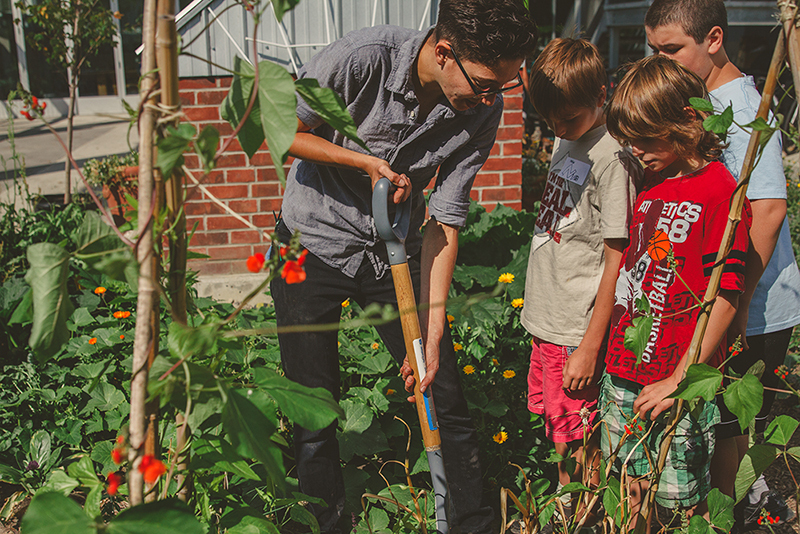 Hands-on lessons about growing food in The Stop CFC’s garden. Credit: The Stop CFC. 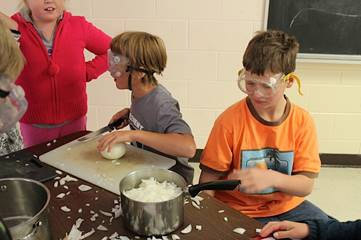 Evergreen Heights students chop onions with full eye protection! Credit: Kelli Ebbs. Real Food for Real Kids’ delicious Chili Chili Bang Bang. Credit: Sandy Nichols. Visit our Policy Perspectives page for government submissions and policy papers that relate to issues that impact children and youth. 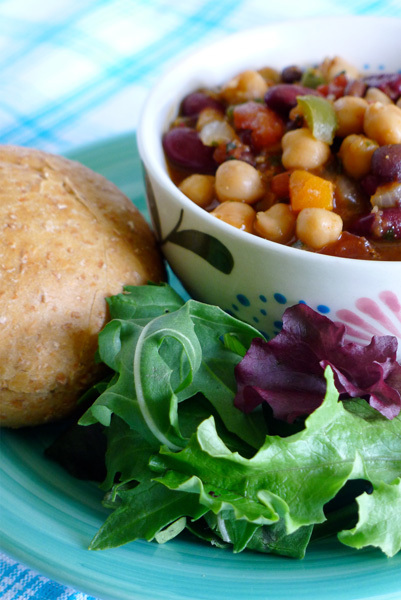 Visit our Granting Programs page for a collection of lists of granting programs that other organizations have assembled that can help support your efforts to connect children and youth with healthy food systems. Access our Impacts of Good Food Education page for evidence that shows the benefits of good food education for children and youth.